L.J. Brumpton & Son: delivering results for over 40 years. L.J. 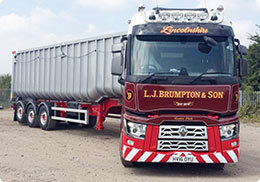 Brumpton & Son are a family run, long established haulage specialist. Based in Lincolnshire, we offer a wide range of services to agriculture and industry. For over forty years we have embraced technology and change to become one of the areas leading hauliers with customers large and small relying on us to deliver efficiently and on time, time and time again. 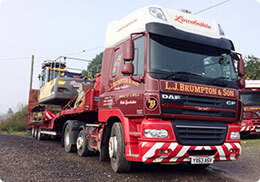 Since 1976, L J Brumpton & Son has grown on the back of return business and recommendation. The basis for our company’s success is a combination of our natural focus on quality combined with giving excellent service to many loyal customers. To ensure we meet the challenges of modern day transport there is a constant investment in people and equipment leading to a premium attitude and culture. Our modern, satellite tracked fleet incorporate the latest technology to maximise efficiency and ensure we give the best service possible. Our reputation is what has kept us in business for over forty years. We earned our reputation by always going the extra mile to give piece of mind and confidence to customers, suppliers and employees. 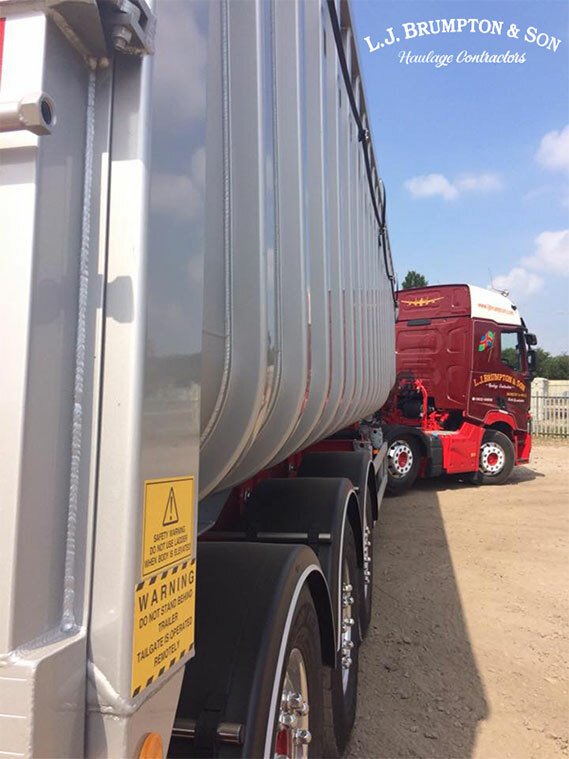 If you are looking for a haulage company, whether it be for a single load or a complete system give us a call at L J Brumpton & Son on 01652 688958 and we will be happy to discuss it with you. By investing heavily in our people, our systems and equipment, L.J. 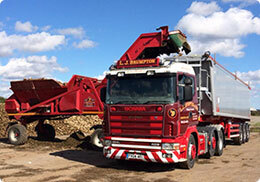 Brumpton & Son offer an unrivalled combination of haulage and agricultural services. Since we began in 1976 we have always tried to offer our customers an industy-leading range of services. We listen carefully to what our customers want and strive to exceed their expectations. Our depot operates all day and all night ensuring that we’re here when you need us. Our trucks are tracked by GPS hardware so we always know exactly where your cargo is. Our depot is protected by an comprehensive CCTV and Access Control systems. We are dedicated to complete customer satisfaction and have worked extremely hard to earn the trust of our customers for over 40 years. Our focus on efficiency and technology brings benefits in reliability and service quality and it also helps us keep a very tight control of costs. We believe that we offer an unbeatable combination of quality and value for money. Established in 1976 in Barnetby, North Lincolnshire, LJ Brumpton & Son offer a wide range of Haulage and Agricultural solutions. Our investement in equipment and technology has insured that we operate with high levels of safety and efficiency and allows us to offer superb value for money to our customers. 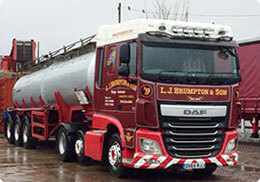 L. J. Brumpton Haulage, 98 Kings Road, Barnetby, North Lincolnshire, DN38 6HG.